Phonothek is a dark ambient act from the country of Georgia. Their first release, Lost In Fog, debuted last year on Cryo Chamber. 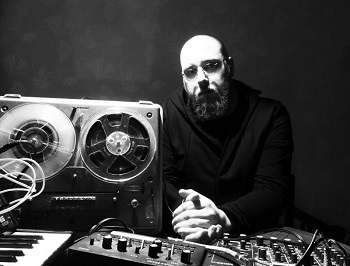 Lost In Fog quickly caught the attention of fans and critics alike with their use of a noir jazz infused form of dark ambient. This year they release their follow-up Red Moon, which takes this style even further. Honing their sounds, Phonothek are proving to be one of the most interesting acts on Cryo Chamber. Which is no small feat considering the amount of talent backed by this young but well established record label. On Lost In Fog we heard fleeting moments of this noir jazz infused dark ambient style. Tracks like “Old Swings” began to tap into this energy, yet “Heavy Thoughts” was the most blatant use of the format. 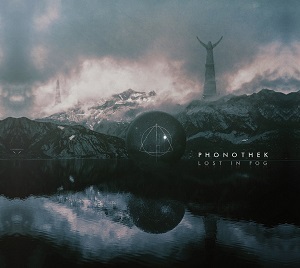 My thoughts at the time, regarding Lost In Fog, were that Phonothek had a solid start, but would be able to distinguish themselves from the rest of the genre even more so if they directed more focus toward the use of their horns, trumpets, and trombones. Some tracks on Lost In Fog were not wholly impressive to me, while others seemed to shine a brilliance over the entire album, more than making up for a few weak points. Red Moon certainly remedies any previous misgivings. 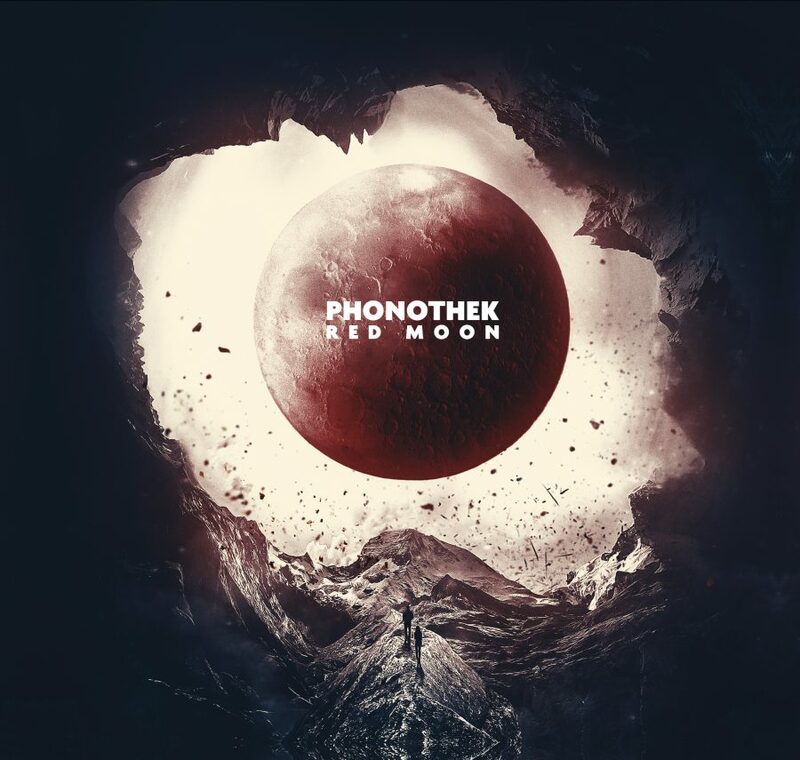 Phonothek have chosen their path, and are now following it unapologetically. Throughout the entire album we hear these jazzy instruments taking on a life of their own. The use of viola, trombone, trumpet, horn and bariton all come together throughout Red Moon to lend an air of authenticity and real world appeal to the project. One may imagine themselves walking through the filthy alleys of New Orleans, late at night, as a thick fog hovers over the streets and the scent of refuse and the homeless sicken the senses. The darkness is perfectly blended with the noir jazz style, breathing life into Red Moon. It effortlessly pulls the listener along for a journey which won’t be soon forgotten. Of course, Phonothek may have never seen the streets of New Orleans, and certainly there are many other and older cities across the lands of Europe and Russia which would equally fit these sounds. As if the honing of their style weren’t enough, Phonothek brought Keosz and Cities Last Broadcast along for the journey on Red Moon. The opening track “Yellow Forest” introduces us to this hazy smog ridden environment. Who better to add atmospherics to this dark urban style than Keosz, an artist who engages with the midnight city streets like few others in the genre. It is also fitting that Keosz is featured on this track, as his album, AVA, released soon after Red Moon. As mentioned in the review of AVA, Keosz and Phonothek have both stepped up their performances on these latest releases, delivering two quite memorable albums, and highlights of their careers thus far. On “Last Melody” Phonothek made another brilliant move by adding the skills of Pär Boström’s often apocalyptic urban soundscapes that are Cities Last Broadcast. Cities Last Broadcast adds some of its more eerie and occult leaning work to “Last Melody”. We hear Boström’s falsetto voice barely cutting through the mix at one point, adding an otherworldly feeling to the track. After these two highly original and perfectly executed collaborative tracks, the rest of the album is able to commence at a running start. As we proceed through the rest of Red Moon, we hear a style and theme that is consistent from beginning to end. Each track adds another layer to their noir-jazz midnight urban stroll. The city streets come to life at every turn. Yet, the instruments and field recordings incorporated throughout also exude an aura of occult mysteries. There is more to this story than just the envisioning of a cityscape in the nighttime hours. There is a darkness with a sense of the supernatural complementing the urban nightscapes. This part of the story is best left to the individual listeners’ imagination. Surely each person will find their own answers in the song titles and field recording cues throughout the album.